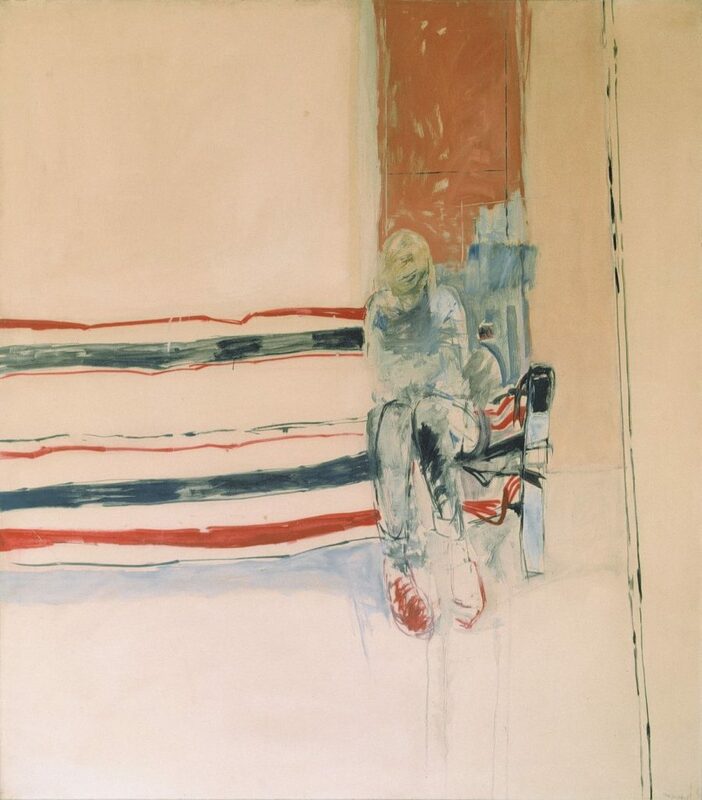 Basil Blackshaw is one of the foremost Northern Irish painters of a generation that followed Daniel O’Neill and Colin Middleton. 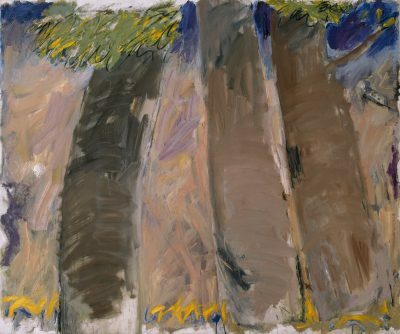 His post-expressionist treatment of the Northern Ireland landscape has characterised his work throughout his career. ‘Anna on a Sofa’ is not typical of Blackshaw’s work. It is more minimal in its construction. The canvas has been less exploited in terms of colour and composition than is characteristic of his style of painting. 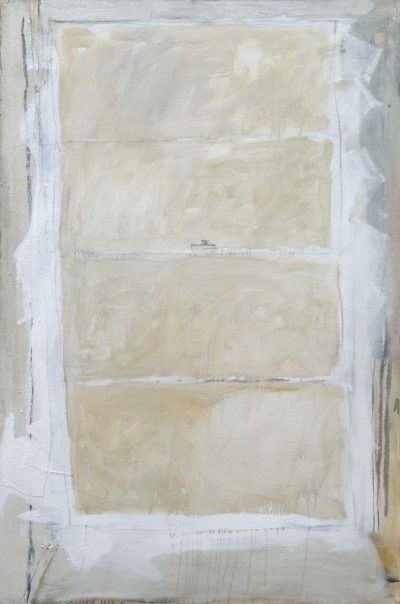 On the other hand, the artist tends to delineate his paintings with horizontal and vertical markings. This is clearly the case in ‘Anna on a Sofa’, where a balance is upheld between the focal point of the figure and the colourful stripes of the sofa.